The Oasis Forum is deeply concerned and saddened at the spate of political attacks against Fr. Leonard Chiti, SJ, in his capacity as Chairperson of the Grand Coalition. The said attacks imply that Fr. Chiti is speaking on his own account and does not have the support of those constituents that he leads. of speaking on behalf of the Grand Coalition and usually after wide consultation and deliberation by the various committees of the Coalition. To vilify him in his individual capacity is therefore grossly unfair and highly unchristian. Forum further supports the positions taken by Fr. Chiti on behalf of the Grand Coalition as the positions that have been arrived at through dialogue and consensus within the Grand Coalition on behalf of all its constituent members but more importantly on behalf the voiceless citizens of Zambia calling for constitutional reform that meets their needs and aspirations. The Oasis Forum therefore strongly condemns the continued personal attacks on Fr. Chiti and calls upon all well-meaning Zambians to continue to support him and the just cause for which he is fighting for the greater good of all Zambians. But the grand coalition signed an agreement with hh nawakwi and the rest political failures and these are the people he should be talking to not Pf and Lungu . 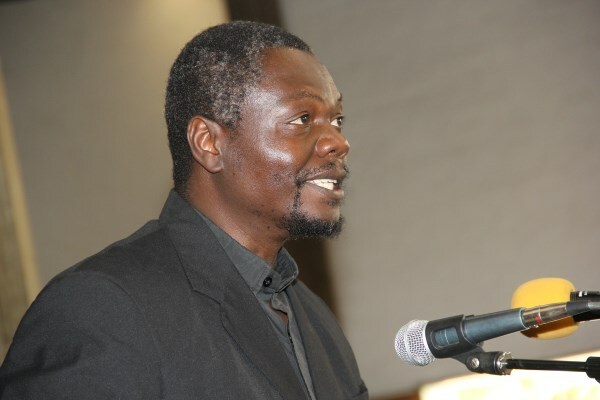 Comment: Fr Chiti is upnd. A good constitution is the foundation of a better Zambia without it we should forget of democracy. Try dictorship.PF will be out of power soon what will protect those in PF tomorrow is a better constitution ask Kabimba will tell you now he thought he was un touchable as SG. The reason our politicians cry foul when they lose power is precisely because they fail to lisren when in power. The same archaic laws which they delight in are thr ones which haunt them when they lose power. The Grand Coalition means well, please listen to them. IN 1990 THE catholic BISHOPS ISSUED A PASTORAL LETTER THAT PEOPLE HAD SUFFERED ENOUGH AND THEREFORE, THERE WAS NEED TO MOVE ON AND REALLY WE MOVED ON. Are the Bishops happy with what is going on now? Are you going to leave one Priest only to continue shouting as a lone soldier over the sufferings the people are going through? These living conditions are the worst since independence. What is the church doing about this leadership which is denying that it has failed and asking for another 5 years? We shall all perish…….Please God help us! Actually Fr Leonard & McDonald Chipenzi have been left to hang by constituent groups. Oasis forum itself is an amalgamation of a number of groupings, but we remember how they were united by purpose in the fight against FTJ’s third term. We are not seeing that united front in the GC.